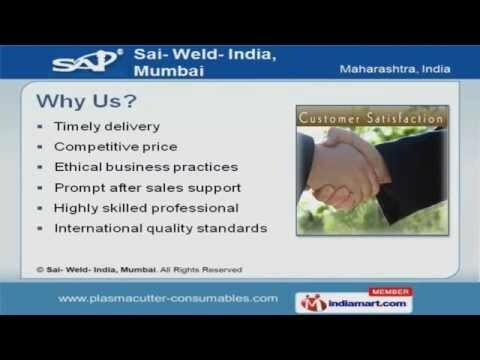 Welcome to Sai- Weld- India. Manufacturer & Supplier of Welding Machines, Equipment & Hypertherm CuttingMachineThe company was established in the year 2008. Stringent quality measures & sophisticated infrastructure make us different from others. Ethical business practices, Prompt after sales support & International quality standardsare the factors that help us to stay ahead of our competitors. We offer a huge gamut of Tungsten Electrode, Hypertherm & Kjellberg Torch Parts. Hypertherm Manual Plasma Cutter offered by us are well known for their durability. We provide Hypertherm Mechanized Plasma Cutter that are available at industryleading prices. Our Tungsten Electrode are in huge demand across the global markets. Along with that we offer Hypertherm Torch Parts that are a class apart. We also provide Kjellberg Plasma Cutter & Parts that are available at affordable prices.